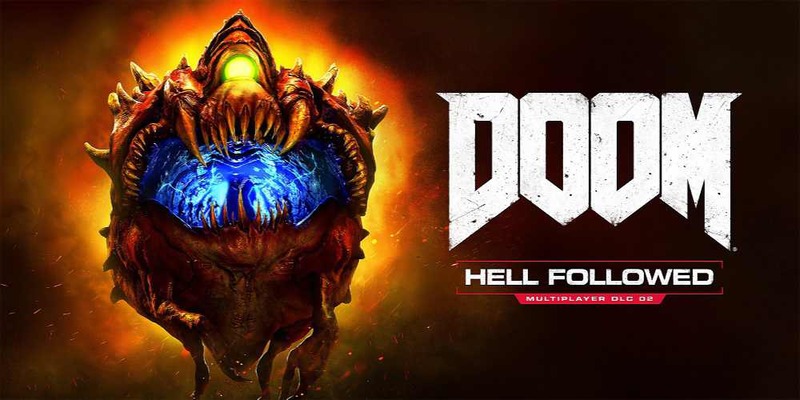 DOOM Hell Followed DLC is coming on Oct. 27. The upcoming DLC will bring three new multiplayer content DOOM game. Apart from new multiplayer maps, DLC will also include one new playable demon, a new weapon, a new equipment item, new armor sets, taunts, and Hack Modules. Argent Breach – Battle among ancient burial ruins of the Night Sentinels, where statues of heroes past overlook the machinery of a fallen society. Molten – Clash in a world littered with volcanic temples and fight inside a crumbling facility dedicated to harnessing energy from the lava that envelopes the entire planet. Orbital – Fight in low gravity aboard a robotic station in deep space. Surprise opponents from above, but be careful not to fall into the vastness of space below. Become the iconic flying demon. Roast your enemies by shooting ball-lightning, or devour them up close with a grabbing tongue attack. Use this demonic weapon recovered from the depths of Hell. Fire six rapid-fire bursts of Hell energy at your target, or press and hold the trigger to fire a highly damaging Hell energy shot. Activate this UAC targeting technology to “pulse” the area around you, highlighting enemies in close proximity and through walls. Embrace the unnatural melding of flesh and steel with Cyberdemon-inspired armor for your marine.